COPS – Hello Korea ! COPS, originally uploaded by Almost-Human. 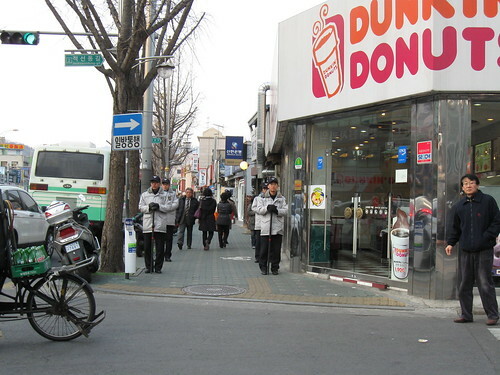 Even in Korea, Cops hang out by donut shops! You see the cops everywhere, all over Seoul – standing sentry. Nobody I’ve asked really knows why or what they’re accomplishing. They stand there all day, just looking serious, holding that long stick.